This is a special update from Groovy Paws Rescue on one of their very special rescues. Theadore (aka Teddy), was 2-lbs when he was found! Teddy was found in a gutter in Oklahoma City. Teddy was totally emaciated and had a large mass on his back by his tail. Both of his eyes had holes in them and he was blind. Today, after a lot of medical attention and much loving care, Teddy is 9-1/2-lbs! Teddy’s eyes no longer have holes in them. 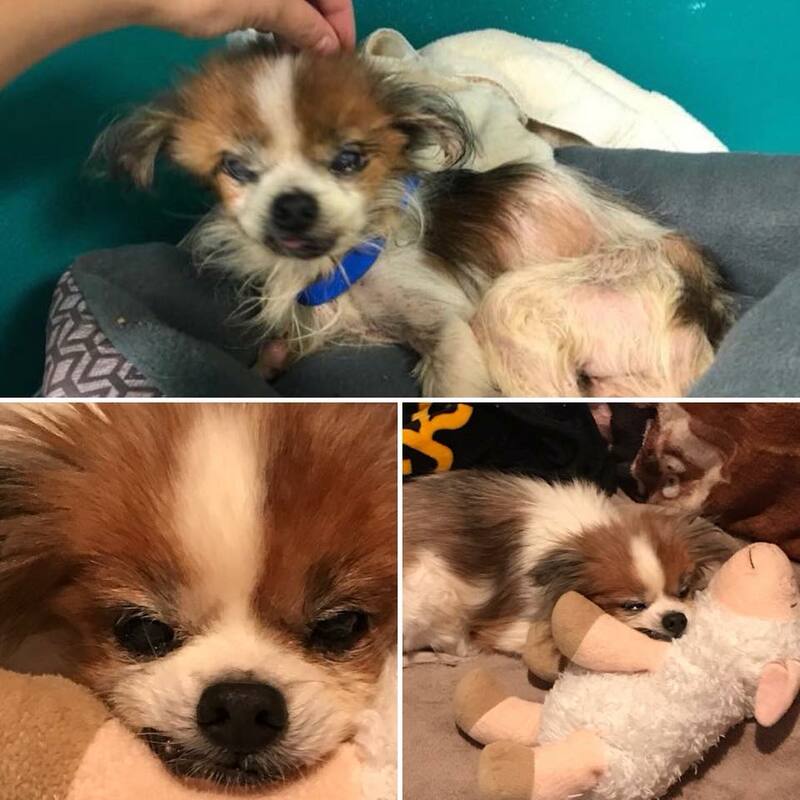 Unfortunately, Teddy is still blind, but that does not stop him. Groovy Paws is very proud of Teddy; he handled being bugging every hour on the hour for months doing five difference drops in each eye, and seven small meals every day. Teddy almost lost a eye but they managed to save it. Teddy’s muscle mass is getting so much better, and he is now able to walk as he is no longer emaciated. It takes time to bring a animal back to normal when they have been so starved to skin and bones. Teddy is just one example of the lives Groovy Paws Rescue is able to save and give a second chance to with the help of donations and sponsors. All donations and sponsor of a rescue animal are tax deductible. Teddy is a special needs boy and requires a special forever family and he will be listed on our website soon. We will be very picky on his forever family when we place him. We want Teddy to go forward and live his golden years in love peace and spoiled. No big dogs and a understanding of his special needs are required to give this sweet boy a forever home. Note: This information was provided by Angie at Groovy Paws Rescue.